Effective retirement planning is a simple equation. You have to make sure your passive sources of income meet or exceed your monthly expenses. For most of your income, like your retirement accounts, certificates and investments, that income is easy to calculate. You know the rate of return and you know the amount you have saved. One potential source of retirement income that’s a lot harder to predict, though, is Social Security. While it shouldn’t be your only source of retirement income, Social Security benefits can provide an added layer of comfort to your retirement. Planning around them, though, requires knowing the amount of your benefit. That can be a tricky process. The complex web of contributions and regulations can make figuring out your monthly benefit a nightmare. You may need something stronger than a COLA once you’re done working your way through the nightmare of acronyms and bureaucratic doublespeak that make up Social Security laws. Fortunately, this part of your retirement planning just got a lot easier. A new wave of apps called Social Security benefit calculators can simplify the process dramatically. They couldn’t be much easier to use. Just input your yearly income, your age, and the date of your retirement. The program takes that information and generates a monthly benefit for you. Some of these programs even include an inflation adjustment tool to let you see how your benefit may change in response to changing economic conditions. Basic calculators, like those available from the Social Security Administration, will do that and nothing more. These more advanced utilities will let you adjust the information you get based upon a variety of factors. This helps you to visualize the kind of portfolio performance you’d need to supplement your Social Security income. More than figuring out how much your benefit will be, though, these utilities let you fiddle with numbers to see how to best optimize your Social Security benefit. By changing your retirement date, modifying your income and/or shuffling other variables around, you can see how your retirement income will change in response to your decisions. These adjustments can help you make an informed decision about how and when to retire. More to the point, these tools will help you make the difficult decision about when to claim Social Security. The monthly benefit you and your spouse will receive increases every year between the time you turn 62 and the time you turn 70. The caveat to this increase is that you’ll likely have less time to spend it. Balancing these demands can be made easier with a calculator tool. But keep in mind, there are more than a few hazards to making firm plans using one of these utilities. Even the best Social Security benefit calculator can’t predict the future. 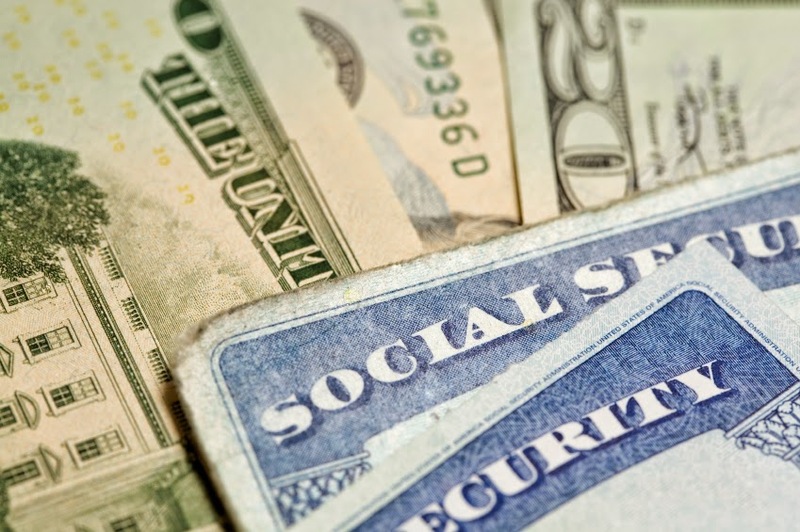 Social Security regulations are a hot-button political issue. Things like cost of living and inflation adjustments can change in response to political as well as economic circumstances. If these regulations change, so will your benefit. Social Security itself is always in jeopardy, too. It’s the single largest expenditure in the federal budget and it comes under fire every year. If you build your retirement around Social Security income, you might be in trouble as government budgets get tighter. Also, remember that these tools are for informational purposes only. You shouldn’t interpret these results as a guarantee of benefit. Many personal circumstances are considered when figuring your benefit and no calculator can capture them all. Treat this information as a useful planning guideline, but not as a contract. The most basic planning tool is offered by the Social Security Administration. It’s regularly updated and provides the most direct pipeline to the byzantine network of regulations that govern Social Security. While it doesn’t allow you to customize your results much, it’s a good introduction to planning. Probably the best tool of the bunch is SSAnalyze! SSAnalyze offers the greatest range of flexibility in input options. It allows you to set a range of life expectancies, adjust for changes in income (if your spouse was to retire early or you were to go part time), and account for a large number of household arrangements (domestic partnerships, blended families, and so on). SSAnalyze! has a little bit of a learning curve, and anticipating the results can be daunting, but the flexibility of this powerful tool makes it a great resource for retirement planning. No matter the result you get from your experience with a Social Security calculator, it’s only one part of the retirement planning package. You need to take this information and add it to the list of things you know about your retirement options and plans. If you want personalized financial advice that uses that information to get you on the path to your truly golden years, speak with a representative from your credit union today. The trained financial service experts there can set you up with a range of savings and investment instruments that will let you enjoy the retirement lifestyle of your dreams. Call or stop by Destinations Credit Union today, and get on the path to your financial future. Debt is the wealth killer. You’ve heard this piece of advice repeated in a million different corners of financial news. You’ve read articles telling you to get rid of all your debt in order to build wealth and save for the future. There’s one very notable exception, though, and you’re living in it. Debt secured by your home has low interest rates, and regular payments can do wonders to improve your credit score. In many cases, too, you can get preferential tax treatment to the interest you pay. Money you owe on your home is often called “good debt” and there are a few ways in which it’s different than other kinds of debt. First, it’s secured. That is, your ability to repay the debt is ensured by the value of the property. Second, its effective interest rate is lower even than advertised. Your home will likely appreciate in value. The value of appreciation of real estate has been 6.4% on average nationwide. So, instead of losing you money, your mortgage just decreases your investment income. Third, creditors take the presence of installment loans, like mortgages, as signs of responsible use of credit, not to mention the consistent repayment history looks very favorable to potential lenders and credit scoring entities. If you’ve already paid for your house, there are still ways you can reap the benefits of getting this “good debt.” You can use what’s called a home equity line of credit, or HELOC, to pay for a variety of expenses. There are a few key differences between a HELOC and your mortgage. First, HELOC rates are far more stable. Between 2010 and 2014, home equity loans had an interest rate that fluctuated by more than 2%, while HELOC rates changed by less than .5%. Second, HELOC loans generally offer lower interest rates from the start. Because they’re secured by the equity you already have in your home instead of the possible resale value of your home, lenders need to charge less interest to secure the value of the loan. Bear in mind, HELOC loans are not risk-free. You’re securing your purchases with your home. If you don’t pay your loans, you can face very serious consequences. You can lose your house, seriously damage your credit, and still be liable for the balance of the loan. Like all debt, HELOC loans are serious financial instruments. You should have a good reason for using it and a plan for paying it off. Financing home improvement. This is the most common reason given for using a HELOC. It makes sense. Improvements to your home increase its value, so home improvements are like a low-risk investment. Using the equity that’s in your home to finance these improvements is the cheapest way to increase the value of your holding. Debt Consolidation. If you have a lot of “bad” debt, like credit cards, car payments, or other high-interest loans, you can save a lot of money each month by paying off that debt with a HELOC. Your HELOC will have a lower rate of interest and you’ll only have to make one payment each month. Plus, you may be able to take advantage of preferential tax treatment for the interest (consult your tax advisor for details). But, beware of running up a lot of bad debt once again – you’ll be in worse shape if you do that! Major purchases. For most people, the biggest source of wealth is their home. 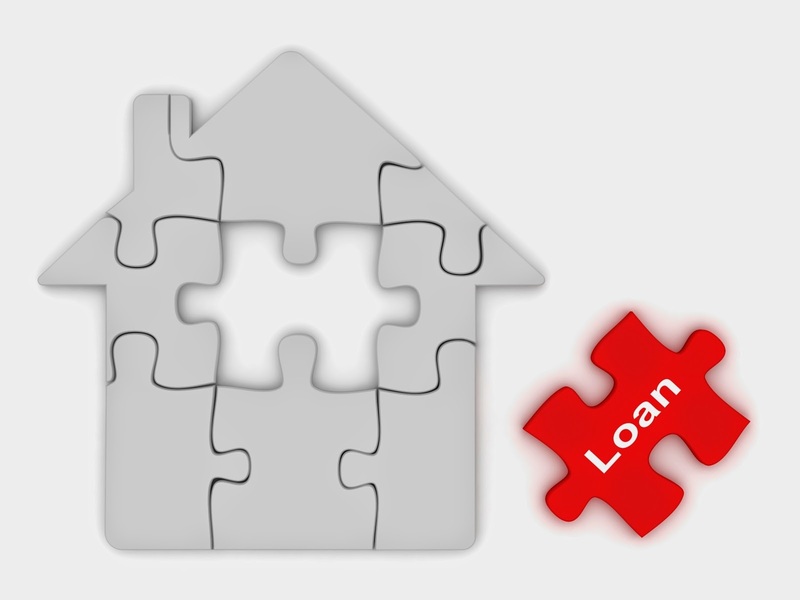 A home loan is one of the few monthly bills that actually builds wealth instead of zapping it. If you need to make a major purchase, the biggest source of capital you’re likely to have is your house. If you want to start a business, purchase a boat or an RV, or buy rental property, a HELOC is one of the best ways to finance it. Covering emergency expenses. Most financial experts recommend keeping an emergency fund that could cover you for between 6 months and 1 year if you lost your job. That’s good advice. If you don’t have the cash on hand, though, you can open a HELOC to cover medical expenses, car repairs, and other unexpected costs. You should still work to build savings that can prevent borrowing in the event of a catastrophe. Opening a HELOC can provide you some security in the mean time. If you own your home and are considering any of the above plans for your future, you should call or stop by to speak to a representative from Destinations Credit Union today. The friendly and knowledgeable staff can answer any questions you might have about what a HELOC is and how you can use one. They can even get started with the paperwork so the credit is there when you need it. Don’t wait until you’ve got a giant bill for remodeling or an expense you can’t cover; speak to a representative about HELOC loans today! We like to think of ourselves as learning animals. We take our lived experiences, extract valuable lessons from them, and use that information to improve our daily lives. This is how we get better at doing things over time. However, a recent survey from Bankrate.com shows that we haven’t yet learned the lessons of the Great Recession. While Americans paid down their debt in the months since the recovery, a shocking 26% of Americans still report having no emergency fund. Another 24% have less than three months living expenses saved. Only 23% of survey respondents have the recommended 6 months living expenses saved. It’s not for lack of caring. The same survey reveals that 60% of Americans don’t feel comfortable with their current savings position. 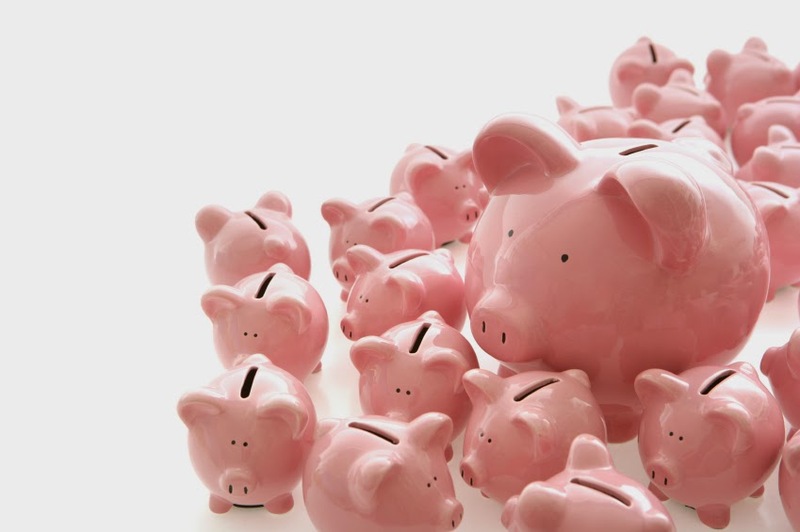 We all know we need to save more, but we still don’t actually do it. Why is that? Many experts say the problem is there’s just not enough money left at the end of the month for savings. This is true no matter how much you make; fewer than half of people with incomes more than $75,000 have that 6-month cushion. Rebecca Kennedy, the founder of Kennedy Financial Planning in Denver, says that after utilities, rent, and other expenses, there’s no money left over for savings. Not having an emergency fund is like walking a tightrope without a net. No one likes to think about it, but what you would do tomorrow if you lost your job, wrecked your car, or had to miss work due to illness? In 2008, the answer provided by many would have involved tapping into a home equity line of credit. But, when house prices began falling and interest rates rose, these people had to rely on expensive debt to finance their lifestyles. That forced them to postpone retirement, miss vacations, or compromise on educational plans for their children. 1.) Start small. If you save $5 a week for four years, you’ve got an emergency fund of just over $1,000. That’s a great start to a rainy day fund, and you can do it by giving up one vending machine soda a day. Many people stash every $5 bill they get in a coffee can or store all their loose change. You might also consider a 52-week plan where you save $1 the first week, $2 second, and so on. These incremental steps can make a big difference in the long term – at the end of a year, you’ll have saved almost $1,400. 2.) Take on a second job. It’s never fun to leave one job and head to another. Remember, though, that you’ll have to work fewer hours to build a savings than you would have to work to pay down debt. Don’t limit your search to part-time jobs. Consider freelancing, taking surveys, babysitting, or selling tupperware. You don’t need to finance another lifestyle. You just need to make enough to start a savings fund. 3.) Pay yourself first. Think about your savings as another bill. This mode of thinking prevents you from treating the money as discretionary and frittering it away on impulse buys and luxuries. Make your savings as important as your house note, car payment, and utility bills. 4.) Automate it. Consider setting up a Club Account or a savings account with direct deposit. This step ensures you’ll remember to take the savings out of your budget each month. You’ll also be earning a little bit of interest on your savings to help you on your way. These savings products have the flexibility to allow for immediate withdrawals if you need it, but are limited by law in how many withdrawals they allow. This means your money is there when you need it, but far enough away that you won’t be tempted to spend it. With one of Destinations “Kasasa” rewards checking accounts, your rewards can automatically be swept into a high-yield savings account. 5.) Put luxury in the back seat. Whether it’s a fancy coffee drink, a pack of cigarettes, a fast food meal, or the latest cell phone, things we don’t need will consume much of our income. You don’t need to give up your vices all together. In fact, financial expert Candice Elliot compares these choices to dieting. Repeated denials can drain our will-power, leading us to snap back harder. The answer may be to cut back on our consumption instead. Go without your Starbucks on Friday or wait 6 months for the price to drop on a gadget. Put the difference into your savings account. 6.) Look at recurring expenses. If you’re honestly spending everything you get on your monthly bills, it may be time to look at them. Consider cutting your TV services or switching to a pre-paid cell phone plan. Simply giving up a premium movie channel for a year could save you as much as $240. Now that Game of Thrones is over for the season, do you even need it? These don’t have to be long-term choices. Your goal should be to make temporary sacrifices to ensure yourself against future loss. 7) Don’t spend it. Your emergency fund should only be used for actual emergencies. Ask three questions before you take even a dollar out of your emergency fund. Is the thing I’m paying for absolutely necessary? Is there nothing I can cut back on this month to pay for it? Do I have to pay for it right now? Unless the answer to all of these questions is yes, leave the money where it is. Q: My friends just got back from a relaxing 2-week cruise. Swimming, sun, and relaxation for a single price sounds like a great deal. Are there any hidden costs or other things to take into account when designing a budget for a cruise vacation of my own? A: It sounds so simple. Instead of paying for your hotel, your travel, food and fun extras separately, you pay one bill. Your hotel IS your destination! Many of these cruise lines even advertise themselves as “all-inclusive.” It’s tempting to look at that price and think that’s all you have to pay. Unfortunately, it’s a little more complicated than that. Cruise fares typically include your room and meals in a buffet-style dining hall. If you want more than that, you’ll need to budget a little bit more than the quoted price. Let’s take a look at a few extras you might have forgotten about and how to budget for them. 1.) Tipping: You’re surrounded by a virtual army of service workers, most of whom depend on gratuities to make a living wage. Most cruise lines know this. Carnival, Royal Caribbean, and Norwegian all include a $12 per person per day automatic gratuity. Most other cruise lines charge a similar fee. You pay these charges at the end of the cruise, and they can be quite frustrating if you’re not expecting them. The cruise lines add the same automatic gratuity to optional services. If you and your partner get cocktails each at a poolside bar, you can expect to see an 18% gratuity added to the bill. The same is true if you get a massage or attend a yoga class. This extra charge is on top of any tip you add to ensure prompt service or reward personnel who go above and beyond their job descriptions. How much you should budget for tips on your cruise will depend upon how much you rely on the service workers on the cruise line. At the lowest, you should expect to pay $200 per person for a week-long cruise. 2.) Internet access: We’ve become accustomed to constant access to our e-mail and social media profiles. Many people experience a sense of anxiety if they’re cut off for any length of time. If you actively manage your investments or have a high-pressure job, being out of touch can cost you quite a bit of money. 4G access isn’t available on the open ocean and cruise lines charge a hefty premium for onboard Internet usage. Expect to pay $0.75 per minute for data usage. If you know beforehand that you’ll need some e-mail and web-surfing time, bulk packages can drop the price to $0.55 per minute. If you want 20 minutes every morning to check your e-mail and flip through your news sites, expect to pay $100 for a 7-day cruise. You can cut down on this price somewhat by using Internet cafes during port excursions. The trade-off is that you’ll spend your tropical island time in front of a screen rather than in the sand. 3.) Shore excursions: Cruise lines take advantage of the fact that their audience is usually unfamiliar with the locations the ship visits. They charge inflated prices for tours and other shore trips. You can save money by booking these trips on your own with local tour services. You can even save by taking self-guided tours or just wandering the port. Even so, you can expect to spend between $50 and $100 per excursion. Be sure to include the price of souvenirs, meals, and drinks in tropical locations. If all this seems overwhelming, bear in mind that it’s still worth it. A cruise is a fantastic way to get away from it all and see many different locations in a quick vacation. These are costs you’d have to pay with any other vacation; they’re just hidden a little bit behind the price tag for the cruise. Now that you have an idea of what your fantasy cruise vacation will cost, you might want to explore savings options. 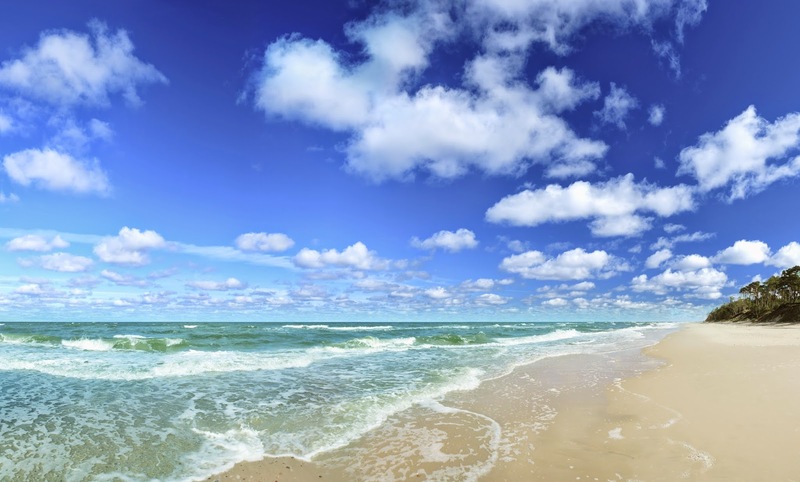 Destinations Credit Union offers a Vacation Club SavingsAccount. You can take your vacation budget, divide that by the number of weeks you have to save, and auto-withdraw the amount from your paycheck or checking account every week or pay period. You’ll even earn some dividends on your savings. So make a plan, do some math, and then call Destinations Credit Union. The adventure of your dreams is waiting! Maybe it’s less of a dream and more of a necessity. Maybe health problems like chronic pain or arthritis, are forcing you to consider giving up your career before age 65. Perhaps your children need you to help with caring for your grandchildren. Whatever your reason for retiring early, a new study released on 6/12/14 by Fidelity Investments warns it will cost you in ways you might not expect. 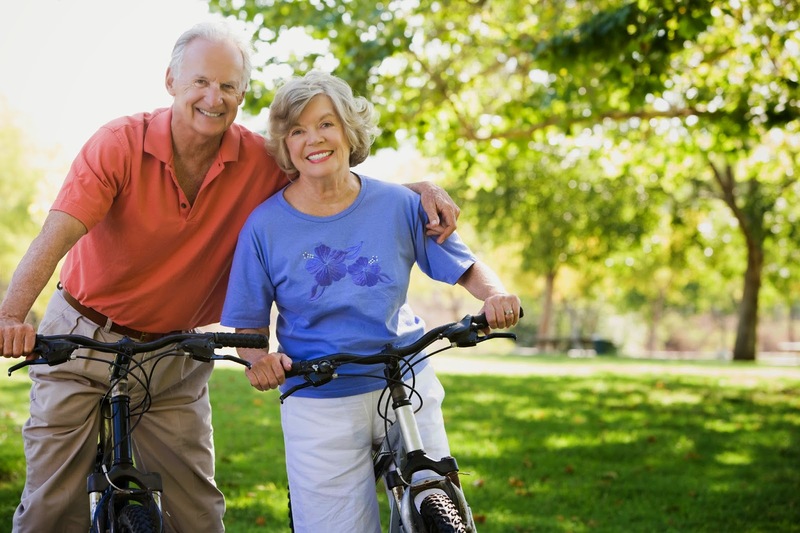 According to the study, early retirees can expect to pay an extra $17,000 per year in medical expenses. The reason? Medicare coverage gaps. You give up your employer-provided health insurance when you retire, and Medicare doesn’t kick in until age 65. This means you’re on your own at a time when your health care costs are near their peak. Short-term insurance One popular option is to look for an emergency-only or high-deductible insurance plan (HDHP). These plans feature inexpensive monthly premiums, but offer little in the way of coverage. These budget-friendly insurance options are great if private health insurance is too expensive. You can expect to pay for a variety of costs out-of-pocket. Routine, preventative, and non-emergency medical procedures will be your responsibility. A regular checkup will cost at least $75 and the costs can escalate if your doctor orders tests or other procedures. You may also pay full price for prescription drugs. This option is best if you’re retiring just before age 65. You can afford a few months of risk before Medicare coverage starts. However, you’ll still want another savings option to help with massive medical bills. Open a savings certificate for major medical expenses You likely use savings certificates (similar to CDs at a bank) to keep an emergency fund on hand. These savings instruments are ideal for building up money in case of a rainy day. You may want to create one specifically for your health care costs. You’ll want to keep this money separate since you’ll have different needs for it. A sudden, unexpected medical bill is different than needing a new car. You’ll likely have a little more time to pay your medical bill. Many hospitals are willing to work around your financial situation. A 6- or 12-month certificate provides the perfect combination of accessibility and growth. Once you turn 65, you can add your remaining funds to your other retirement savings or even use it to finance a vacation! Open (and use) a Health Savings Account A Health Savings Account (HSA) is a special tax-advantaged account for your savings that allows you to defer taxation on the money. The idea is that the money you spend on health care costs shouldn’t be taxed. So, you can save money to pay premiums, deductibles, and other healthcare-related expenses. These accounts have been growing in popularity this year. If your family insurance plan has a deductible of $2,500 or more, you can open an HSA. You can contribute up to $6,450 to your HSA per year, tax-free. Many employers also provide matching contributions to HSAs as part of their benefits package. While withdrawals from your HSA are allowed only for medical expenses, this rule is waived for people 65 or older. While non-medical withdrawals are taxed, the money still grows tax-free. Many financial planners are advocating the use of HSAs as a kind of “shadow IRA.” With them, you reduce your current tax burden while saving for retirement. Planning for your future health care costs can be scary, but it’ll be much scarier to go into retirement unprepared. Sit down with a representative from your credit union today to discuss how you can save for your health care in retirement. You’ll thank yourself later.